Home › Pro Wrestling › Is Charlotte Flair The Problem? The world according to Becky Lynch is a beautiful place right now. She won the Royal Rumble on a Sunday and challenged Ronda Rousey the next day to set up their highly anticipated clash at WrestleMania 35. It is undeniable Rousey vs. Lynch should be the main event of WrestleMania. However, The Wrestling Observer reported as of Monday evening; the plan is for Charlotte Flair to be included into the match, making it a triple threat. Sports Illustrated, however, is reporting the opposite. Fan reaction to this news has been damned with faint praise. Wrestling aficionados, at their core, are traditionalists. 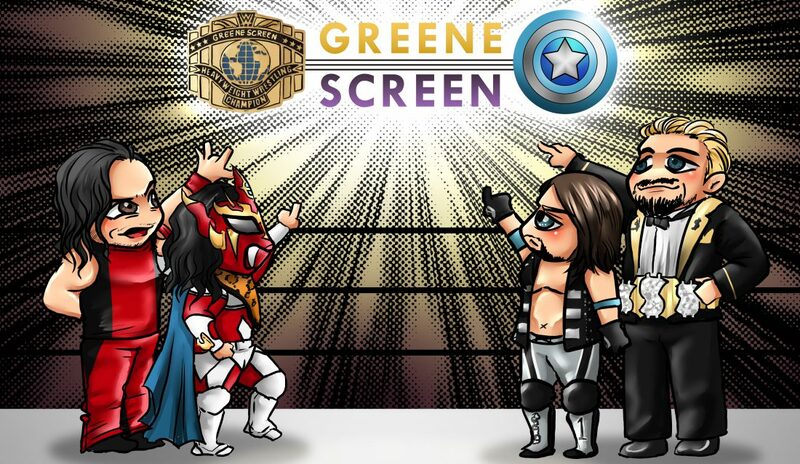 The idea of a WrestleMania main event being anything other than a singles encounter doesn’t feel right. It dilutes the story, and three’s a crowd. While a one on one match is the preferred choice, would Charlotte’s inclusion really be a bad thing? Charlotte is one of the best wrestlers in the women’s division. She always has good matches, was initially groomed to be Rousey’s WrestleMania dance partner and many feel she stole at last year’s Mania when she ended Asuka’s undefeated streak. Adding Charlotte to the Lynch/Rousey equation would make the match better than it’s already going to be. Her inclusion will only draw more heat by having two people to boo instead of one. Also, it gives Lynch a more daunting journey, making her assumed victory even sweeter. 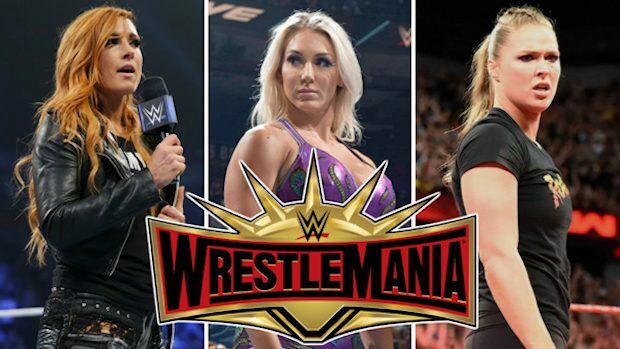 From a business perspective, the first female WrestleMania main event featuring Becky Lynch and Charlotte Flair helps WWE in the long run. Rousey is reportedly leaving the company at the end of April. It’s better to have two history-making characters to market instead of one. In the storyline, Charlotte brutalized Rousey at Survivor Series. Rousey returned the favor at TLC by costing both Charlotte and Lynch the SmackDown Women’s Title. There are unresolved issues between Charlotte and Rousey, and WrestleMania is the perfect place for a resolution. 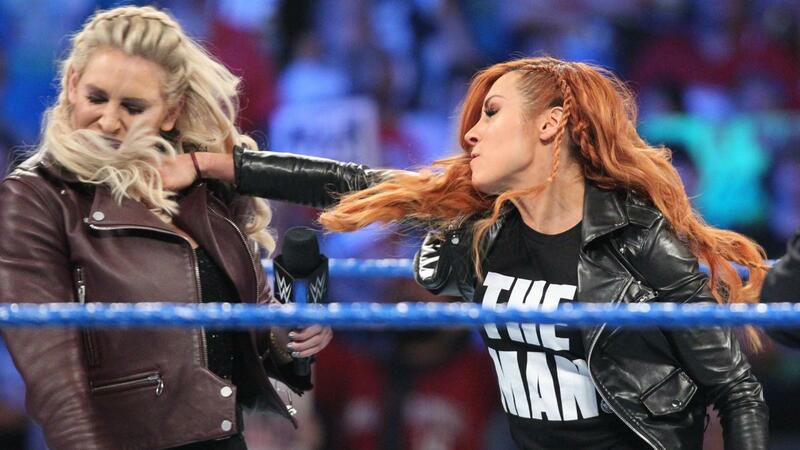 Another thing to take into account is the injury Becky Lynch suffered at the hands of Nia Jax, removing her from the match at Survivor Series against Rousey. Charlotte was her replacement. The addition of Charlotte Flair improves upon the finished product. However, despite all the positives, there is still a loud voice in the wrestling consciousness that says Charlotte doesn’t belong. After four years of Roman Reigns featured main events that never got over, WrestleMania finally has a top match everyone is excited to see. Some view Charlotte as the Roman Reigns of the women’s division because, underneath Rousey, she is the performer WWE wants to push. The biggest problem with Charlotte’s inclusion is how do you get her into the match? WWE needs to develop a logical storyline reason on why Charlotte receives an invite to the party. She could beat Asuka for the SmackDown Women’s Title at one of the two pay per view events before Mania. Still, how would that qualify Charlotte to enter a WrestleMania main event that has already been announced? A winner takes all match with both titles on the line is intriguing. Still, it just can’t be a title change that gets Charlotte the golden ticket. Many championships have changed hands over the years so close to WrestleMania. Perhaps, WWE will take a roundabout route of Charlotte somehow convincing Becky Lynch into putting her title shot on the line in a match, winning that match, and Lynch somehow gets back in later on. Unfortunately, not only is that just too easy but from a character perspective, Lynch is too smart to be duped into such a match with an injured knee. In all likelihood, there is probably a way to get Charlotte into the match that doesn’t feel like she is shoehorned in. However, WWE doesn’t evoke much confidence when it comes to creating that story. There has been a severe lack of quality control with their writing that’s led to their record low television ratings. Shoehorning Charlotte will be akin to the referee missing the pass interference call in the NFC Championship game. Yeah, the Rams won the game, but everyone knew they didn’t belong in the Superbowl. Does WWE really want to make Charlotte a third wheel? Yeah, probably. Why? Because Vince McMahon would inexplicably rather tell the audience what he thinks they want instead of letting them tell him what they want. If Charlotte ends up standing across the ring from Ronda Rousey and Becky Lynch on April 7th, please, feel free to boo as loud as you want. Don’t boo Charlotte, however, boo WWE for making a decision that only serves them, regardless of what the audience wants. Charlotte would be merely doing her job. After all, would anyone turn down the biggest payday and moment of their career despite the creative optics of the situation? No, not at all. There are more pros than cons to Charlotte’s inclusion in the Rousey/Lynch main event at WrestleMania. However, there is one con that outweighs all the pros. Wedging in an unwanted entity is undeniably what the audience doesn’t want to see. There is no remainder to this equation. One plus one equals two. Two wrestlers who have produced a tidal wave of enthusiasm for a mano e mano showdown. Charlotte is not the problem, but, WWE’s proclivity to rebuild a perfectly gifted storyline is a big problem.